You must be in the know to be in the now. 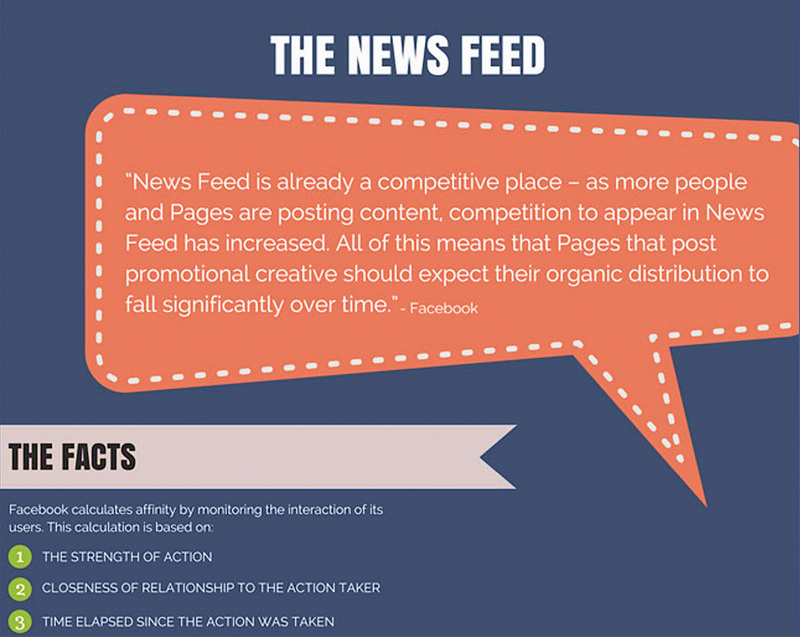 Facebook has made a change to its algorithm that virtually eliminates the reach of promotional posts. This is a snapshot of a page that I presently manage for a new, local Philadelphia Limousine Company. 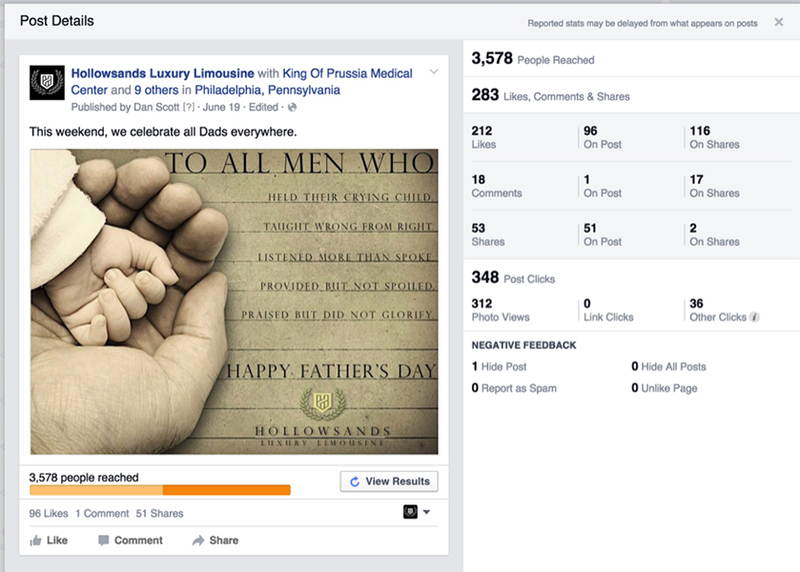 Within three hours of posting this Happy Father’s Day graphic that linked to a special offer on the Hollowsands.com site, we reached over 3,500 locals, of which 212 liked the page, 348 clicked through to the website, 53 shared it. The result was over a dozen new clients. Don’t promote—engage. in real life, people crave connection. This “Smores Dipped” video received 99,632,570 views when shared on the BuzzFood Facebook page. It shows that simple and food work as well as cute babies. The results are astounding. So I tried it. On the Hershey Kiss Jewelry Facebook page, we were inching up to 100,000 fans and I decided to post food—Hershey Kiss chocolates—with not a word about jewelry. 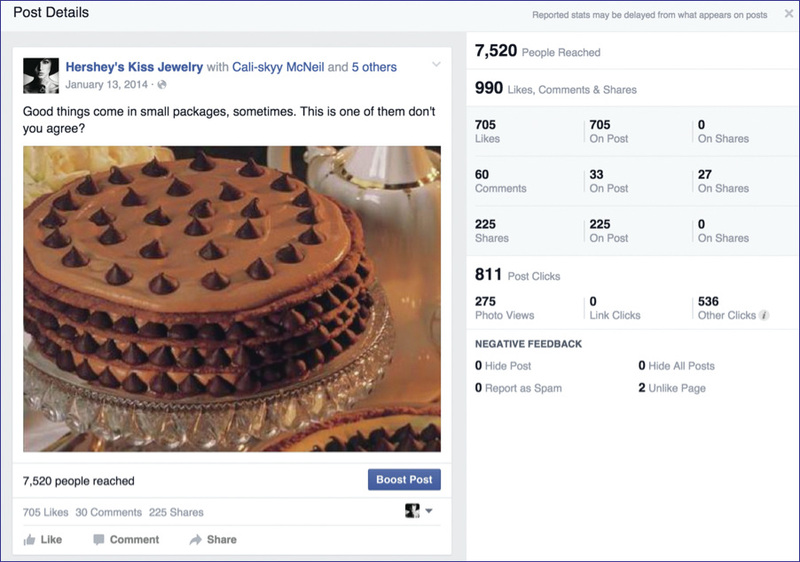 With an indirect brand glance at a Hershey Kiss cake, we gained 7,520 views, 705 likes, 225 shares, 60 comments and 811 post clicks. Not bad for a post of a cake. There is a ton of information inside of Facebook’s Insights tool. When I first started to write this article on Facebook, I took the path of “The Facts and Fallacies of Facebook,” thinking that everyone knows what Facebook is capable of, but what about its shortcomings? Then, it dawned on me that anyone could do a search for the above and probably find hundreds of blogs and white papers on the topic. So, I completely changed the focus to one single word: Engagement. Yes, the word is overused, especially in social media, but do you really understand what the word engagement means? Do you know why it is such a critical noun, and why the word promotion is, in my many ways, the antonym and the killer to engagement? To be in an action mode for today’s Facebook, you need to understand and appreciate the true definition of engagement. If you don’t know the basics of Facebook by now, you need to hire someone or retain a social media agency, as there is not enough space in this article to explain the 101 version. The purpose here is to provide a more advanced summary on how to use Facebook for business without treating it like a B2C tool. Things have changed and you must be in the know to be in the now. If you continue to use Facebook as a means of promotion, you might want to stop reading, as this overview is offered to those who understand the proper definition of engagement and want to gain assistance in spiking and sustaining their Facebook community for the best business results. Within this story, I’ll open sections with words that are akin to engagement. This is done to reinforce my stance on how critical the word and the meaning is to your success. Simply stated, no matter what your Facebook strategy may be, if you are not truly in tune with your social audience, you will never win at social media. Of all the social media platforms out there, I have found Facebook to be the easiest to test, monitor and maintain interaction with your current, future and even past consumers within the world’s #1 online social forum. Yet, the world’s most frequently used consumer social platform is also the least leveraged for businesses. You can change that, but it will require revising your thinking and acting. 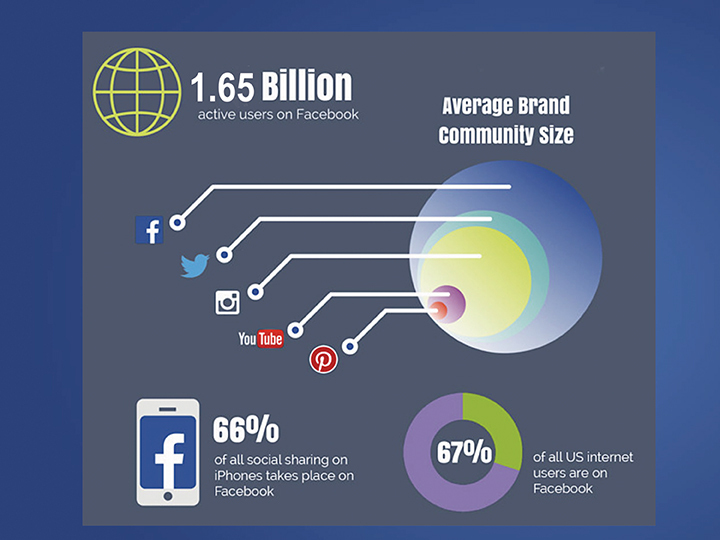 Let’s look at how important engagement on Facebook is and why, drill down style. I think the words commitment and engagement go hand-in-hand. Mark Zuckerberg had a commitment. He wanted to, and did, create FaceMash in 2003, a “hot or not” photo compare site for, and by, his fellow Harvard pals. He sold it later that year for $30,000 and then launched The Facebook in 2004 as a way for anyone at Harvard to interact with the student body and faculty, then later family and friends. Four years after that, he dropped the “The” and hit a milestone when Facebook reached 100 million users. By Q1 2016, Facebook had 1.65 billion active users, and growing. So back to the word engagement, or commitment. What does commitment within social media mean to you? If it means logging on multiple times a day and posting what you had for breakfast, or worse, uploading a discount offer, you are missing the point. The first rule in engagement, or the synonym used here, is to stick to something. I’m going to ask you. Are you committed to change? You will need to be. Please forget what you thought you knew, or what may or has worked on Facebook for you, because the rules have changed. And this won’t be the last time. On January 1, 2015, Facebook made a change to their algorithm that virtually eliminates the reach of promotional posts on Facebook. Absorb this fact—it is really major! What this basically means is that if you post on your Facebook page to promote an awesome sale you have going on, chances are that nobody will see it. Importantly, major brands that received a lot of engagement on their Facebook pages and have been able to drive tons of traffic back to their sites are now running away with their tails between their legs. You need to understand that Facebook, like Google, will continue to change, not only to keep up with changing audiences and their needs, but also to cater to people, not advertisers, to respond to people, not companies. People control brands more than brands control people. The younger the social media visitor, the smarter and sharper they are to tricks or tradition. Today, Facebook is programming against corporations, and for the people. Think about this. We all want our followers (or fans) to visit us and keep us top of mind. So we jump on Facebook and announce whatever it is we want to display to the world. And, we try to mix it up. Maybe, we come up with a ratio of other people’s content to our own content so that it doesn’t seem like we are just pushing our own stuff. Maybe, we ask questions and post quotes to generate engagement so that we can hopefully stay in the game. It made sense for a while because it worked for a while. It’s time to change your commitment strategy on Facebook because Facebook has changed. I don’t know if you realize it, but social media is becoming more and more a reflection of our everyday lives. When social media was in its infancy, we were just trying to figure it out. Now that it has been around for years, we are much more comfortable with it. And, with this growth, there is also a growth in what we expect from it. We want it to be more like real life. Now imagine this. You go out with a friend and this guy/girl starts talking about how awesome they are. They are constantly telling you what they are doing, and whenever they have something to sell, they try to get you to buy it. You know exactly what I’m talking about. We all have that one friend who perhaps stumbled into “the most amazing Multi-Level Marketing Company in the world.” They are now a true believer and tell you that if you want to change your health, life and the world, you need to get on board. Social media is becoming more like real life, and in real life, people crave connection. People are looking to engage with others. People want to laugh. They sometimes cry. People struggle through difficult situations and they often need encouragement. People don’t want to be sold, told or promoted to. Do you? Have you noticed that Facebook has been doing a lot more surveys recently? Well, they have. What do you think they are hearing from users? Is it how much they love promotional posts? Is it how much they wish people would sell to them more when they come on Facebook to see what’s up with their friends? No, absolutely not. MySpace died off quickly because it didn’t adapt to its maturing user base. And no, I don’t want another MySpace. To avoid that possibility, Facebook has to become more human. It has to be a place where users are engaged. For Facebook pages to continue to be successful, they have to engage their audience in a more authentic way. This will spike and sustain real visitation from people you care about, and who care about you. Not the door-to-door salesman or the guy delivering food because you ordered it. No, these “real” visitors are people you don’t care if you never see again. Real visitation is from genuine people in your network who post, share and exchange information that may have little to do with your Fall Fashion Jewelry Special but rather more about the fact that Michelle Phan is laying more neck chain than a 1990 rap artist. Be open to that and open the door to visitation. Traffic will equal awareness and thus indirectly sales. Push a promotional hand out when people first walk in and I think you know what will happen to that hand. In a sense, promise is a great definition for engagement. It reminds me of the basis for engagement rings, the basis for good business practices, and for any activity that should be aligned with honesty, integrity and your word. So, let’s start here: Make it your promise to find out exactly what your audience wants and then give it to them. Consistently. Here are some things you should do for your Facebook promise. 1. Be more visual. Type less words and use more photos. Better yet, short videos. And I mean short, as in sixty seconds to about two minutes. If it has humor, is really interesting, is trending or has anything to do with Donald Trump, people will most likely share it. Here’s one of my favorites that may have you thinking twice about what to post next. This “Smores Dipped” video received 99,632,570 views when shared on the BuzzFood Facebook page. It shows that simple and food work as well as cute babies. The results are astounding. So I tried it. On the Hershey Kiss Jewelry Facebook page, we were inching up to 100,000 fans and I decided to post food—Hershey Kiss chocolates—with not a word about jewelry. With an indirect brand glance at a Hershey Kiss cake, we gained 7,520 views, 705 likes, 225 shares, 60 comments and 811 post clicks. Not bad for a post of a cake. Notice, no boost was paid for, although I do enjoy testing boosts. You should, too. Once you see a level of activity that spikes beyond your normal views, comments or shares, try a $10 boost. But, do it toward a target audience. It’s as simple as using any filter. You can target those who are fans and their friends, or use it to—dare I use the word—promote your page by adding any age group, interests and geographical area. The boosts are all instantly tractable, may be paused, and now have new measurement tools and action buttons like “Contact Us” or “Book Now.” You can try them, but don’t expect a landslide victory. If you haven’t gotten it by now, engagement is about being real and sincere. Attract people you want with more of a context versus content approach and you’ll gain trust and have those people coming back. 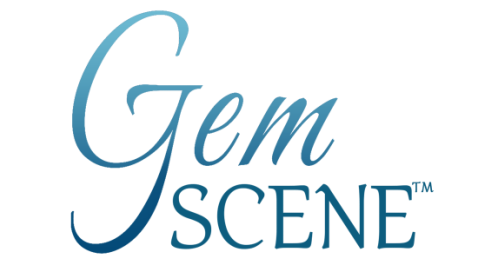 This is where you develop true Facebook followers who will want to hear interesting stories about why you signed on a new designer, or why the jewelry you thought would sell didn’t sell. Yes, be honest. People know when you are selling and when you are storytelling. Be a storyteller. Tell honest stories that have an interesting edge. Then, you can have your cake and eat it, too. 2. Read more than Post. Social media isn’t all about talking or typing, or about listening or reading. What is your audience speaking about? How are they answering your questions without you even asking? What are they telling you and what will you do about it? Why? The why is a great Facebook question, but one you want to ask yourself. Do you realize that the why in people is what makes them buy? It makes them trust, believe and want things. 3. Engage. When someone leaves a comment on my Facebook post, I want to engage him or her in an ongoing dialog. And no, I don’t simply mean, “Thanks for your comment.” I mean asking follow-up questions, looking at their response, using their own words in my response and doing it in a timely fashion. A response to a question or comment two days later won’t cut it. Sound like real life? Yes, you want your Facebook page to be like real life. Caution: please edit yourself. Think before typing. Ask yourself if this is really going to be of interest to people? What would you say in a room full of people that you wanted to actually engage in conversation? 4. Consistency. In a big way, this means the person posting should be the same person following up. If one person is doing it one day then another the next, the phrasing, images and types of posts will change. The result is a loss of consistency. You want to be theme specific to your brand but in an out-of-the-box, non-obvious way. Be who you are or what your brand represents, which hopefully is consistent. 5. Analyze and Adjust. This is one of the most important parts of your new strategy. You want to proactively look at your Facebook stats (or, as they bill them, Insights) to see what resonates with people. The more you do that, the better you will understand what works for your audience. There is a ton of information inside of Facebook’s Insights tool, and if you export the raw data files, there is a lot more that you’ll probably ever even examine. Three Facebook metrics tend to get the most public discussion: Likes, Comments and Shares. The first two of those, however, are basically worthless. Posted likes are meaningless. OK, not completely, as a post’s likes do impact its organic reach, but realistically, a like is a one-second long, one-click engagement. How valuable is that? Do you remember the last post you liked on any platform? As for comments, they are typically considered a “deeper” engagement, since people actually have to type(and presumably think, but that’s debatable), although most comment numbers are skewed by comment spam. When automated comment spam is peaking (seemingly very other week), it can easily account for a large percentage of the comments on a given post. Facebook is constantly fighting off comment spam bots, but as soon as they wipe one out, another pops up. Below is a snapshot of a page that I presently manage for a new, local Philadelphia Limousine company. Within three hours of posting this Happy Father’s Day graphic that linked to a special offer on the Hollowsands.com site, we reached over 3,500 locals, of which 212 liked the page, 348 clicked through to the website, 53 shared it. The result was over a dozen new clients, one being the DoubleTree Hotel. Don’t promote—engage. Beyond engagement is the Reach Rate, which isn’t an official Facebook metric. Facebook only shows raw reach numbers in their reporting, presumably for an obvious reason. Reach rates are typically in the single digits when reach is expressed as a percentage of your audience. They conveniently neglect to show you that math. Still, the number is easy to derive. 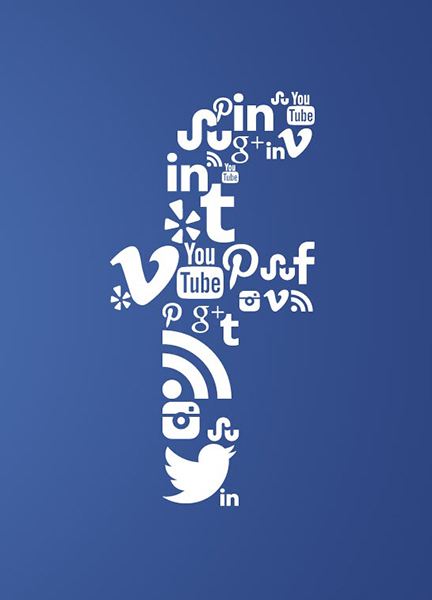 For each post, divide the organic reach number by your total. You’ll soon realize that certain types of posts, specifically videos and photos, wildly outperform status updates and links. Facebook has announced on its marketing blog that it will be cracking down on “promotional” posts in 2016. So, if your “content” is really just a blatant advertisement (“Buy Now!” or “Sign Up Here”) with little context or relevance to your fans, you can expect that the content won’t reach much of your audience. Sharing is caring, as they say. In other words, your fans actually care about your content if they are willing to share it with their friends. Therefore, you should be tracking how many people do this. The numbers won’t be overwhelming, but they can be telling if you give them context. Facebook has made an important sweeping change. It started auto-playing videos on mobile devices. So when users scroll past timeline posts with embedded videos, the video starts up and entices users to click and play them. Mobile is a massive piece of the Facebook audience. One report revealed that over 80 percent of users access Facebook from their mobile device, and 30 percent access it exclusively from their mobile device. One of the results of this shift is that embedded videos are reaching people in the timeline at a two to three times greater rate than links to content or typical status updates. Simply put, Facebook is rewarding publishers by giving video more regular placement in their audience’s timeline. Want to reach new fans? Here’s a quick tip. Start tagging relevant entities with large followings in your posts. By tagging other fan pages, you can often reach people who are fans of those pages, but not fans of your own. It’s a great way to reach new fans. In some cases, small Facebook pages have been able to reach two to three times their entire audience with posts by using this technique.